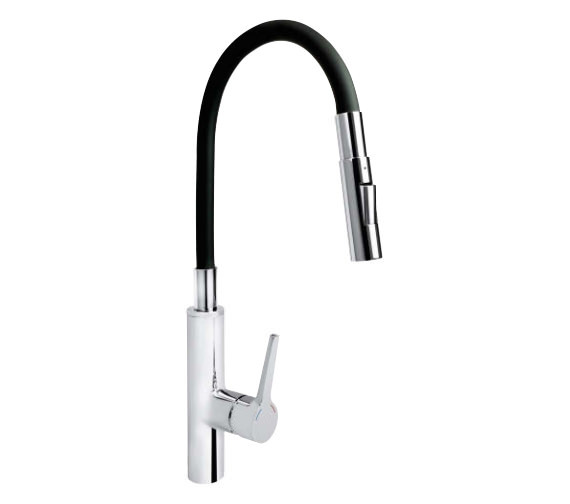 Backed by a phenomenal 5-year manufacturer guarantee against any manufacturing defects, this Bristan Gallery Flex Kitchen Sink Mixer Tap will endow you with hygienic and efficient kitchen space. Styled with passion, this modern tap will serve durably for years to come. Its high spout with curved profile will aid in easy cleaning and washing activities. Produced under strict quality control supervision from premium quality materials, this bidet will please you with exceptional performance. Finished in chrome for imparting graceful appeal, this brassware is as elegant as it is functional.